Brief Description: Broadleaf weed with small white flowers and elongated petals. It has large egg shaped leaves with pointy tips. Chickweed is a plant commonly found in the East Coast. It is a broadleaf weed that invades lawns slowly at first, and then quickly as the seeds start to spread. Its flowers are unique in that their pedals are not clumped together but rather have spaces, like small daisies. The flowers quickly turn into seed pods that spread around a lawn. 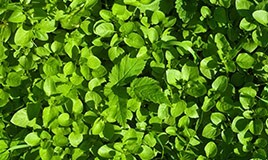 Chickweed is edible, and commonly consumed not only by livestock, but also by humans in salads. Stems of the chickweed have hairs only on one side, and the plant itself is very popular with several types of moths. 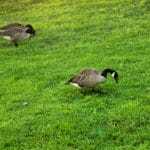 Controlling chickweed is difficult once it has started growing on your lawn because it produces many seeds in a relatively short period of time. Prevention is key to keep chickweed at bay. 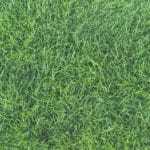 Keeping your lawn healthy and reducing soil compaction will prevent chickweed from attacking your lawn. If you see any weed that looks like Chickweed, try to pull it out immediately before it has a chance to flower. 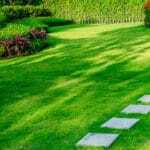 If you believe chickweed seeds have already started spreading or you see chickweed in more than one spot in your lawn, contact Green Lawn fertilizing today to help bring your lawn back to the lush, green lawn you’ve always wanted.